1. This organization shall be known SWIMMING RIVER BASS MASTERS INC.
1. To stimulate public awareness of bass fishing as a sport. 2. To promote full adherence to state conservation codes. 4. To promote and encourage the release of fish caught. 1. Minimum age of membership is eighteen (18)years. 2. Applicant for membership must be sponsored by a member in good standing. 4. At the conclusion of probationary period, applicant will be voted upon by a quorum of the attending membership. A) Violation of State Fish and Game Laws. B) Drunkenness and fighting March. F) A member who is removed from the rolls is not eligible for re-appliation for a period of one (1) year from the date of removal. G) Removal from membership rolls requires unanimous vote from Board of Directors. If a prospective member joins by April 30th or sooner, the full annual dues amount must be paid. If a prospective member chooses to join after April 30th he dues shall be prorated to remaining months til the November meeting when first installment of dues are due If perspective member decides to leave duringthe probationary period or not voted in the $50 will not be refunded. 1. SWIMMING RIVER BASS MASTERS INC. shall be governed by a board of directors comprised of a President, Vice President, Treasurer, Secretary and Tournament Director. 2. The interpretation of these bylaws is up to the Governing Body. 1. President Elected in September by majority vote; term starts in October; may serve no more than two (2) consecutive terms. May stay a third term if no other member is running. 2. Vice President Elected by majority vote in September; term starts in October; may not serve more than two (2) consecutive terms. May stay a third term if no other member is running. 3. Secretary Elected by majority vote in September; takes office in October; no restriction as to consecutive terms. 4. Treasurer Elected by majority vote in September; term starts in October; no restriction on consecutive terms. 5. Tournament Director Nominated and elected by majority vote in September; term starts in October; no restrictions on consecutive terms. 1. 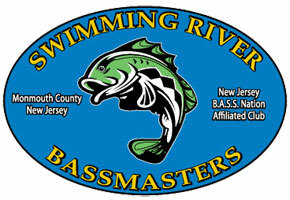 Member must be in good standings with SWIMMING RIVER BASS MASTERS INC. and the NJ BASS NATION. 2. A probationary member may not vote. 3. No writein votes with the exception of the vote taken for a new member. 1. Committees are to be appointed by the President. 1. Article VIIE NJBCCF by laws: In the event of a vacant office, the President shall appoint a replacement to fill the UNexpired term, with the approval of a majority of the delegates present. A. The president shall preside at all the meetings of the club. B. He shall be an exofficio member of all committees. C. He shall preside at all meetings of the Board of Directors and shall perform all duties as are incidental to the office of President. President and shall be vested with all of his powers. A. The Secretary shall have charge of all papers,keep such records make such reports and perform such duties as are incidental to that office and properly required of him by the organization. club tournaments, and make all decisions of the outcome of all club tournaments, and the Tournament Director’s decision of club tournaments is final. months prior to election or appointment to an office. 2. Must make 60% of club functions. 1. Minimum of six (6) members, long as one is at the board of directors (President, Vice President, Secretary, Treasurer, Tournament Director is present. 2. A simple majority is required to vote upon and pass issues. and passed at three (3) consecutive monthly meetings.